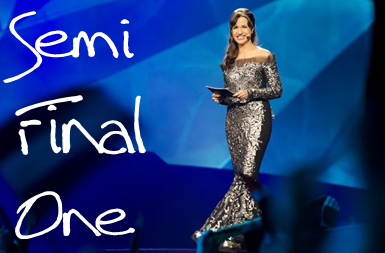 Posted on April 13, 2014, in Eurovision 2013 and tagged Denmark, Emmelie de Forest, Eurovision 2013, grand final, Malmo, recap, Roberto Bellarosa, semi finals, Sweden, winner. Bookmark the permalink. 11 Comments. – Belgium’s semi-final performance and qualification. – The Northern Lights dance performance. – The flag parade in the grand final. 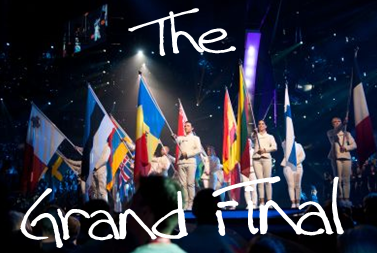 – Sweden’s, Belgium’s, and Italy’s performances in the grand final. Man, you are quick!! I was still editing this when you swooped in. Hashtag impressed. I would agree with your highlights, except probably the Northern Lights, because interpretive dance isn’t my favourite kind. Our beloved Sarah Dawn was spectacular. She can sing, she can be Lynda Woodruff…if it wasn’t for Petra being pretty awesome as hostess I’d still be weeping over what could’ve been. Bring on the endless list of epic moments from Copenhagen! One of which had better be the sudden transformation of the Hallerne into somewhere that doesn’t look like it’s about to collapse. Don’t be sorry!! Voting and sharing will be completed ASAP 🙂 I have to admit, I’m hanging out to vote for Hela Natten later on. For me, I loved Northern Lights because of how perfectly the music and choreography worked in sync. LOL, it looks like there’s going to still be work needing to be done on that front. I knowww!! But I would wait a very long time for Josef. That song is the shiz. BRB, off to FINALLY order my Melfest CD. And woohoo on my new nickname! Well, where I’m shopping the shipping ain’t too horrendous. Slightly, but not overly. It’s worth it!! PS – I shall call you Perry for short. Thanks for your use of the word ‘excellent’. Always appreciated! I did hear that story, and I felt so bad for him – he seemed unsure of everything as it was, and that incident could’ve totally messed with his confidence. I loved his reaction to qualifying. With some acts they respond like “Ohh…we made it. That’s good. Yeah!”. But you could tell Roberto was happy in a ASDFGHJKL I CAN’T EVEN kind of way. And then the jump just capped it all off come the final. What a great recap of Malmö 2013! But more importantly thank you soooo much for using my photos of Malmö as a part of your latest blog and having me inside of it was a very big surprise yesterday ;). When I saw them on your blog on that lazy Sunday afternoon, all my memories of last year’s song contest came back to my mind. So I was pleasantly delighted and you made my (Sun)day ;-)! 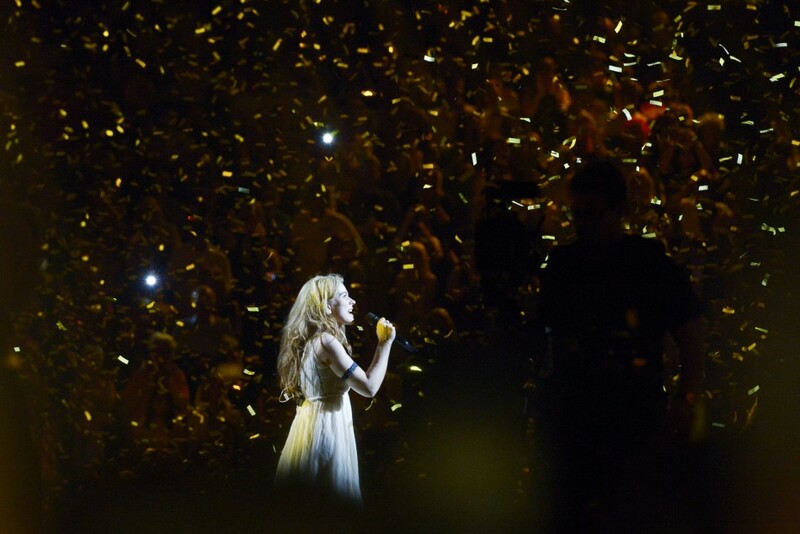 – Zlata had an awesome performance, the best on that night, IMO! – Roberto qualifying in his First Communion suit! – Anouk qualifying for the Netherlands after 10 years of failing! – Ryan Dolan qualifying for Ireland with one of the best songs in the contest! – Belarus and Estonia qualifying, and Serbia and Slovenia not qualifying; that was a little shock! – Montenegro with the worst performance of them all! – The Danish commentator was sooo boring! – The Interval dance act wasn’t my thing either! – Mags from Norway was THE highlight of the 2nd semi! – Iceland qualifying with a beautiful song. – Valentina had a really good performance for San Marino! 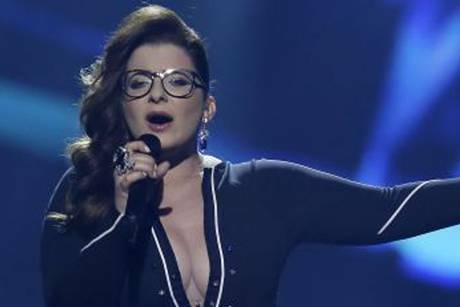 – The voice of Moran Mazor was brilliant! OK, THAT dress and THOSE glasses ruined her performance! Why didn’t anybody tell her that this “Nana Mouskouri” look was rather dated and inappropriate??? – And of course: Darin and Agnes were awesome! – Romania wasn’t my song; I hardly could take that performance seriously, but as a fun entry it wasn’t funny enough ;-)! – Armenia was my toilet break! Qualification was a big surprise, IMO! 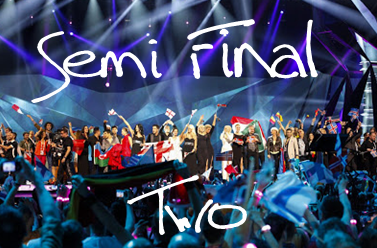 – Romania and Armenia qualifying instead od San Marino and Israel, who did not, was a total shock of the night! – Latvia was just boring to me and deserved that last place! – the introductary film with that little caterpillar developing to a beautiful butterfly and showing us Malmö was so cute and such a good idea to start the show with! – Zlata again blew me away with her performance and her perfect vocals! 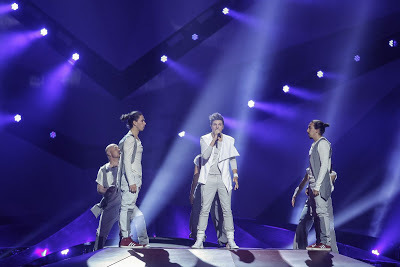 – Italy, Denmark and Norway with very good vocal performances! 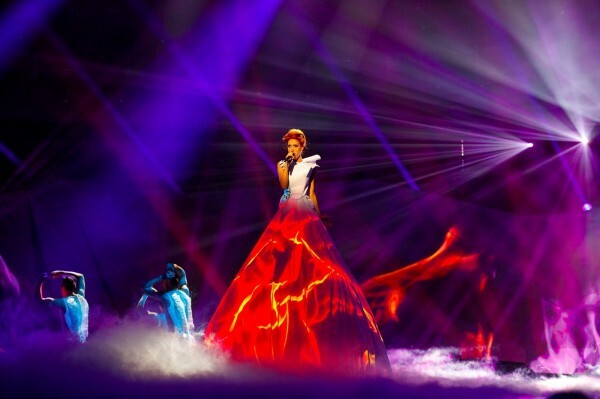 – Azerbaijan surprised with a stunning stage show that distracted us from this average song! – And of course: Linda Woodruff showing us Sweden and spoiling the milk / Sarah Dawn Finer performing “The winner takes it all” in her own version! – Ryan from Ireland ending up last was the shock of the night and totally undeserved! I did not see that comming! – The performance of France with Armandine looking like the angry “Gollum” was a total mess! – And sorry to say that, but Spain was much too boring and the female singer looked like “Bibo” from “Sesame Street” in that yellow dress, or was it a Canary bird, I don’t remember ;-)! – Lena not getting the German points right!!! That was embarassing! That completes my high- and lowlights of Malmö 2013! And it was, as always, a great pleasure to read your memories of last year’s Eurovision! Read you soon and until next time! Hey Wolfgang!! Just to let you know, I will have a lengthy email heading your way in the very near future. I didn’t forget to reply, I swear. Thanks again for sharing your photos with me 🙂 I’m sorry they didn’t upload better (I’m not sure what went wrong) but I’m glad you liked the effect of the little banner. I loved seeing them the first time, and your postcard from Malmoe made my day! I love your description of Russia’s performance…that pretty much sums it up. I thought the ‘tossing the lights into the audience” bit was so cheesy as well. I suppose it did suit the song in that sense. Armenia qualifying definitely surprised me too. I still don’t get how that happened. If they DON’T qualify this year, that will be the shock IMO! I loved that caterpillar film so much. I think we all knew where it was going (caterpillar—> We Are One butterfly) but it was still so cute. I wonder how Amandine would react to being called an angry Gollum?!? Although I kind of see what you mean…I actually really liked her performance though. She really attacked it.